How do you ride sand? There is no big secret to perform in the sand. First you have to change your bike setup a bit. No need to drastically change your bike for Southwick but a little bit will help. You have to raise the front a bit and stiffen it up. A chopper-type bike with be more stable in the sand and the front end won’t tuck as much. Then, I’m a big advocate of riding smooth and keeping your momentum, even on a regular track and in the sand, it’s even more important. You have to choose lines that will slow you down the least in the turns. You don’t want to stop and go because instead of going forward your rear wheel will dig holes… And lastly, you have to use your legs a lot and ride standing up more than on a regular track. It means that your fitness needs to be on point. We’ve seen a lot of guys on Saturday fading quite a bit. If you ride technically good in the sand, you need more energy/strength than on regular dirt because there are less parts to rest. And obviously guys like Tomac and Musquin ride it great but are there some riders that shine in it as opposed to what they do on other tracks? Eli and Marvin rode well with two very different riding styles but I still think Eli’s riding style suits these track conditions better. Just like in Red Bud also, Eli isn’t scared to travel the distance to keep his momentum and we saw he was using way more outsides than Marvin. I thought Marvin had too many lines that would’ve worked if Southwick was a regular dirt track but are not good enough in the sand. Opening the entrance of the turns is very important and helps keeping your speed in the turns. The more you get in tight the more you have to slow down and turn sharp. Automatically, you slow down too much doing so and it’s difficult to get a good drive coming out of the corners. Too many riders ride 1- too aggressive, and, 2- with a regular track mentality. For example, in High Point or Muddy Creek, it’s efficient to find lines to miss braking and acceleration bumps that evolve during the day. 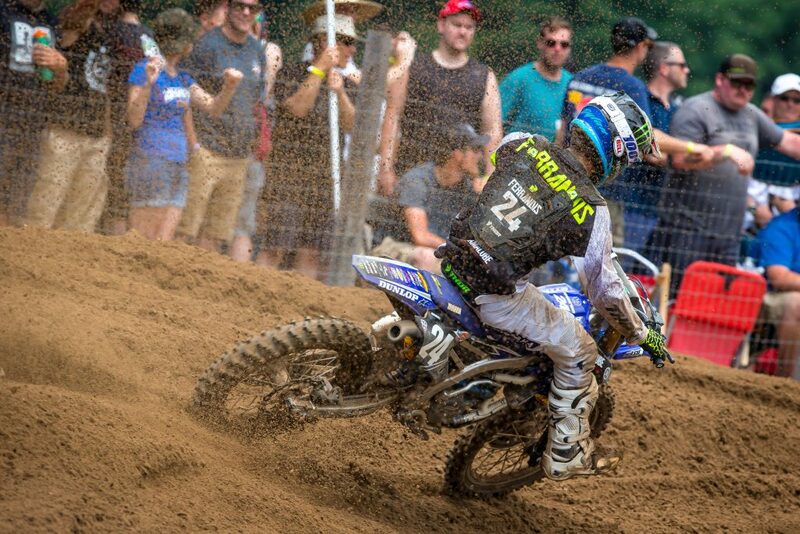 In Southwick, if you want to miss bumps and find smooth lines, often it makes you lose your momentum. That’s what I saw, too many riders behind were looking for smooth lines where a guy like Tomac would take the fast line fast without worrying about bumps. You have to prioritize speed in the sand rather than finding smooth lines. But to do so for two 35-minute motos, you have to have strong legs and be very fit. Congrats! The rider you coach, Dylan Ferrandis, won the overall with 4-1 scores. His starts made it harder on him and he got a bit lucky with a collision of the top two riders but he was great. Talk about what you saw in his race and what he told you afterwards? I’m not gonna say anything about starts. I will not use the excuse of bad starts for any results. For me, starts will never be a key of a race. It’s a key for second tier riders who don’t have the speed and skills to go thru the pack after a mediocre start. 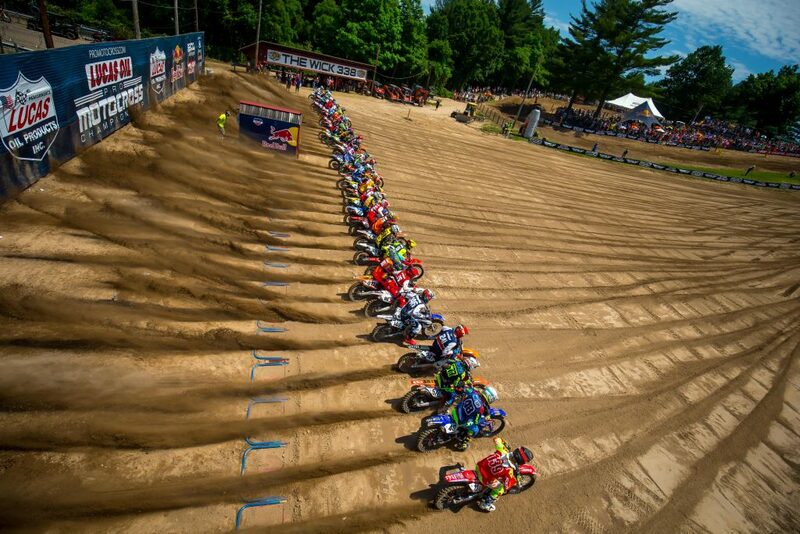 A holeshot will help them tremendously, I get that. I never say ‘you need a good start to win’ and I will never say that. Dylan is not working that hard to need a good start if you ride technically good. If you’re faster than everyone, if your racing IQ is on point, if you have a good strategy and if you are ready and fit the way you should be, you don’t need a holeshot to win. RC didn’t win a zillion MX races because he got holeshots. He did it because he was faster, fitter and wanted to win more than anyone else. 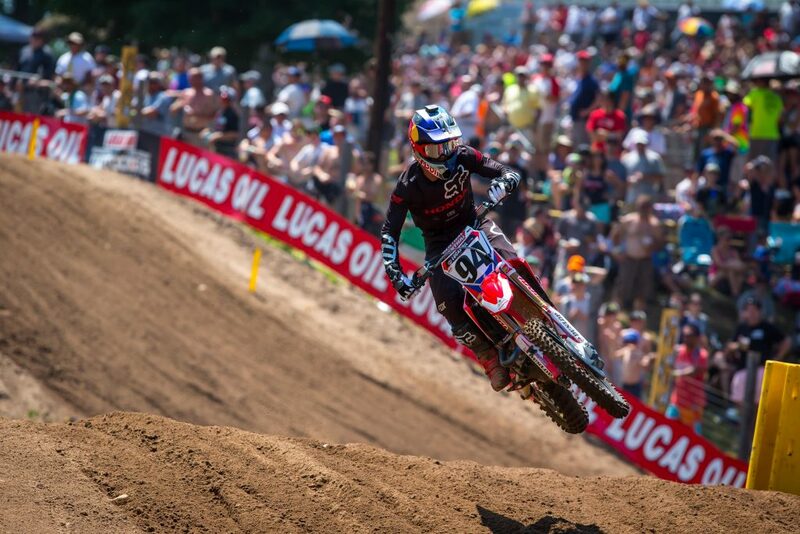 With the starts Dylan took this weekend, he could’ve done better. His first 10-15 minutes of both motos weren’t good enough and not what they should be. He’s still lacking the experience of racing, that’s only his 3rd race back and only 6th race in 2018. 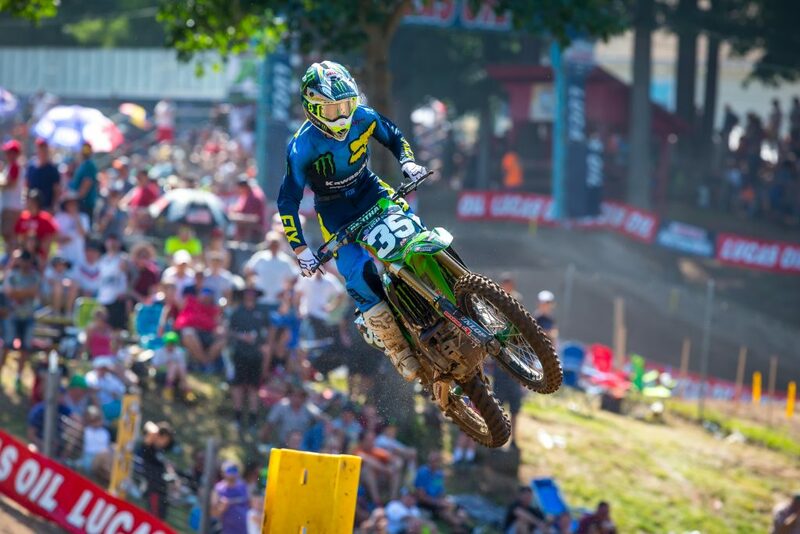 Before that, his last MX race was Budds Creek in August 2017. He lacks reflexes, creativity and aggressiveness in the first few laps. It’s understandable and he will get better. I’m not worried about that. I thought his two second halves of the motos were very strong. He looked fast, in control and in looking at his body english, never looked tired. He caught everyone at the end of the motos. The technique I want him to ride with is also improving. He was more creative on the track this weekend compared to his first two races. 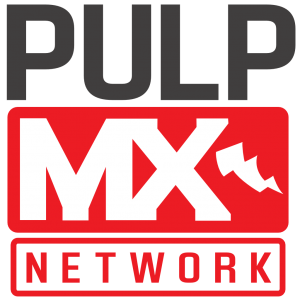 For the first time in my post-racing career, I’m working with a rider who follows my riding philosophy, my training program, my views on how a bike should work and who’s serious, dedicated and follows instructions to the T.
What else did you see in the 250 MX class? Eli Tomac and Marvin Musquin put on a great race in the first moto, Eli made some mentions of Marv’s creative moves while behind him. What did you see in that first moto? It’s funny because both were good and bad in opposite sections of the track. In the slower section, Marvin was more creative, he was jumping the big single after the mechanics farther than Eli and making time. 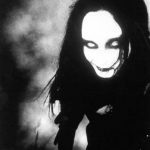 The turns following that, Marv was also better with better line and playing with the track better. All the way to the 180-degree slow tree turn, I felt like Marvin was yarding Eli a bit. After the tree turn and all the way to the mechanics, Eli was flying and also catching him back. It did that for most of the moto. Marvin was obviously not able to see what Eli was doing good in the part the Kawasaki rider was catching him. 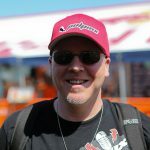 In the second moto Tomac appeared to have it and was FLYING, then crashed twice to give the OA to Marv- what happened? 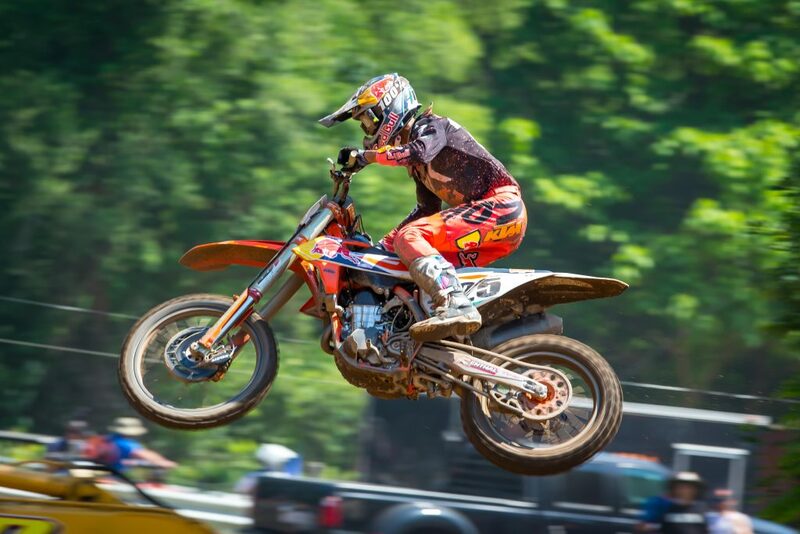 Are you surprised at Roczen’s last four motos? Is Chad Reed selling everything to move in with you and you’re training him for 2019 SX? gotta love DV and his point of view. but being over confident doesnt only leads to over speed. but lack of concentration. miss DV at the show.